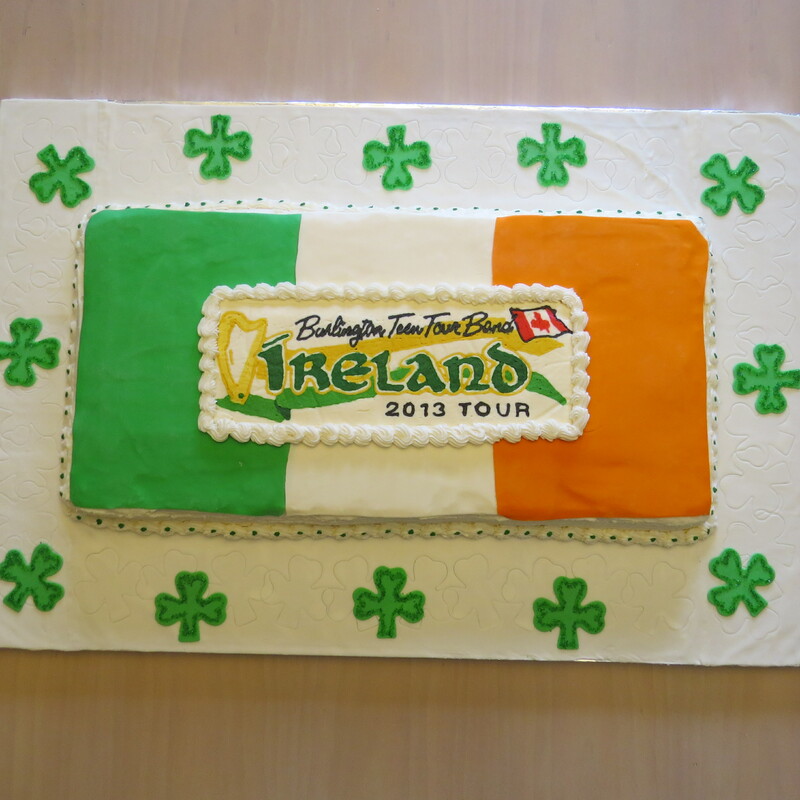 Recently, I was given the honour of making the cake for the send-off party for the Burlington Teen Tour Band. They are headed to Ireland from March 10th to March 21st to participate in St. Patrick’s day festivities and competitions over there. Best of luck to them all and safe travels! Picture of the cake I made for them is down below. 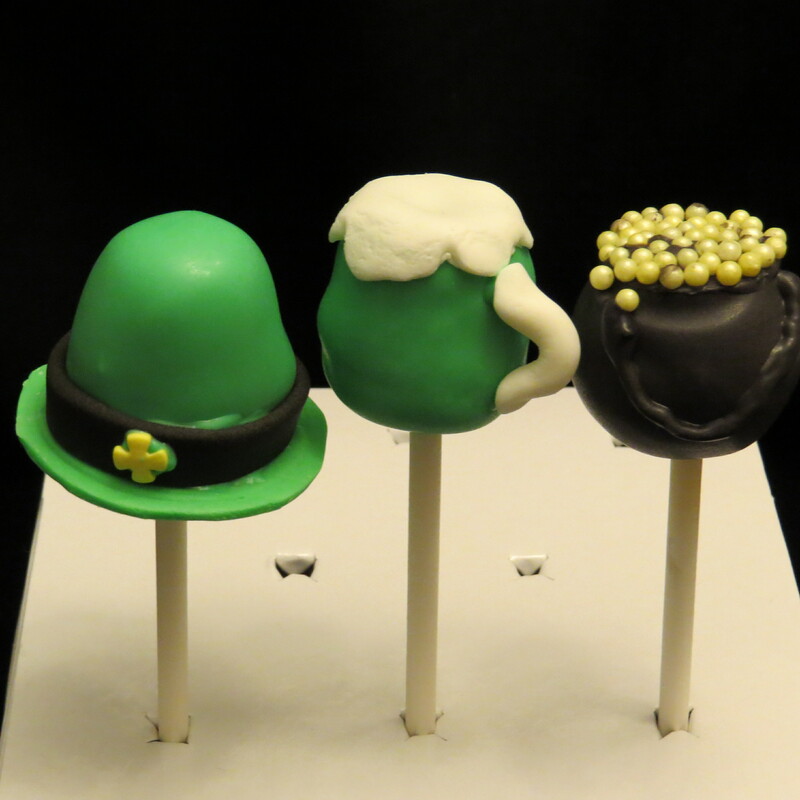 I also tried my hand at some St. Patrick’s day themed cake pops. They turned out quite well, if I do say so myself! I do have 2 of the boxed arrangements pictured here available for sale. 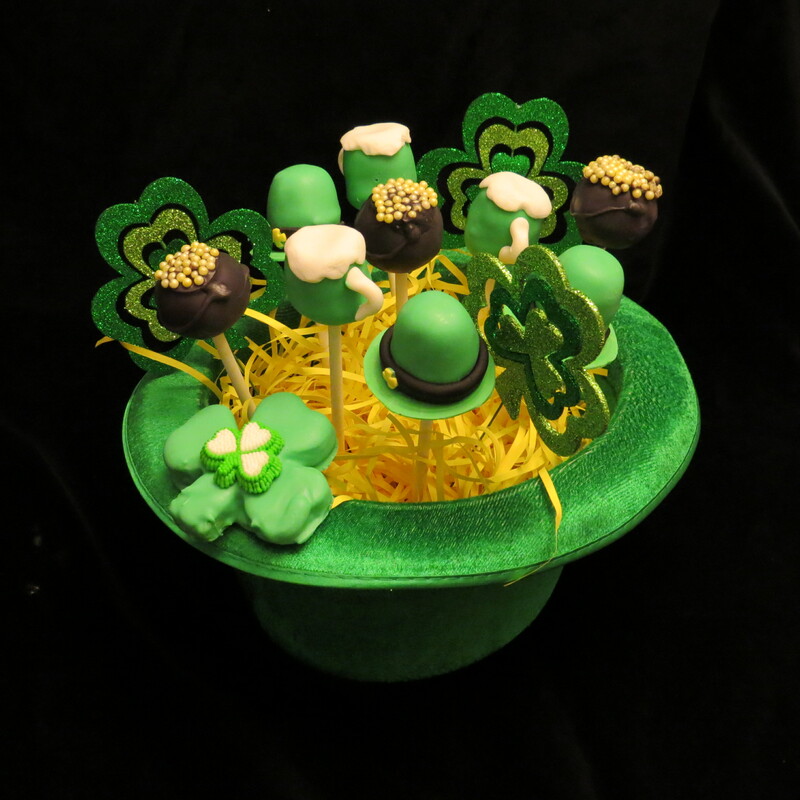 They include 1 Shamrock shaped cake treat (a bit larger than a cake pop) along with 7 assorted other cake pops, all in an easy carry box – perfect for taking to that get-together for sharing or hostess gift. 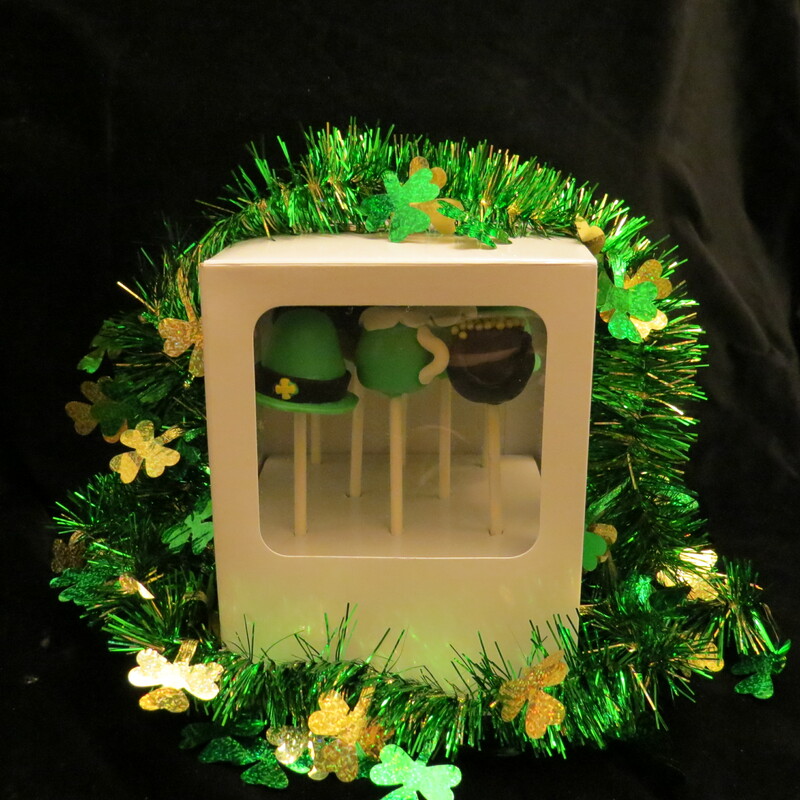 These St. Patrick’s day cake pops are a nice gift for your party hostess… or enjoy them all yourself! Cute little hats, green beverages and pots of gold. These arrangements are available for sale. 3 kinds of cake in one – chocolate, vanilla and mint.